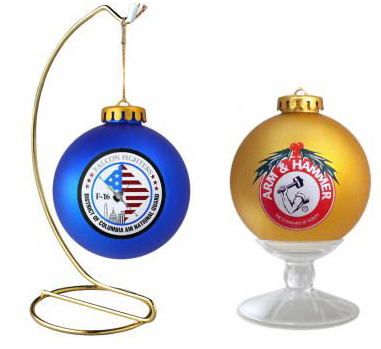 Promote your brand with custom acrylic (shatterproof) promotional ornaments. 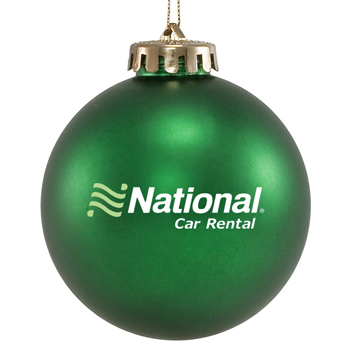 They’re great for decorating a tree at your event, as an employee gift, or for corporate giveaways. We’ll send a mockup and quote at no cost or obligation – simply upload your art using our Mockup Request Form. What is the minimum quantity that can be ordered? Our minimum is 50 ornaments. How does one go about ordering? The process starts with the mockup, which we supply at no cost. If you have artwork, a photo, or just a design idea, please fill out our form here: Acrylic Mockup Request Form. We’ll do our best to get you a mockup within a few days of your submission. How quickly can I receive my ornaments? Once you’ve approved our layout we need 1 week for production, and 2-5 days for delivery (FedEx Ground). How are the ornaments packaged? 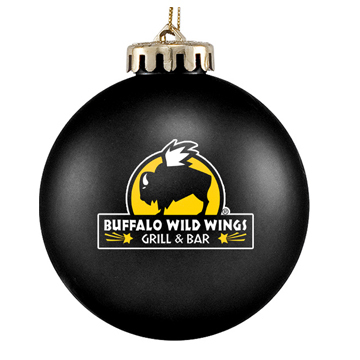 Each ornament is individually boxed in your choice of plain white, or “Happy Holidays”. Yes, but shipping will cost more, and the exact cost varies depending on what part of Canada you are in. Acrylic (shatterproof) ornament are available in the colors seen below. Below are the standard available imprint colors. Pantone® Color matching is available for $40 per color. A brass ornament stand is available for $1.75 each. The plastic desk stand is $0.75 each. 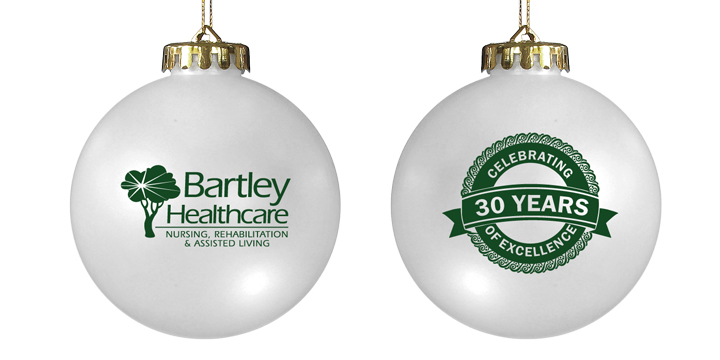 Our shatterproof ornaments are 3-1/4″ diameter with a 2-inch imprint area. Where are your ornaments made? 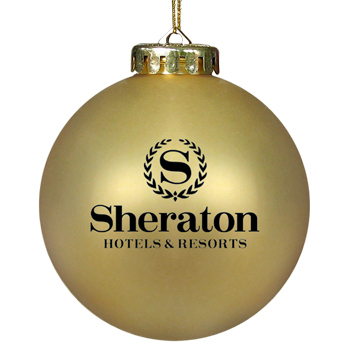 Our acrylic shatterproof ornaments are printed in the United States. The blank ornaments are manufactured in China.